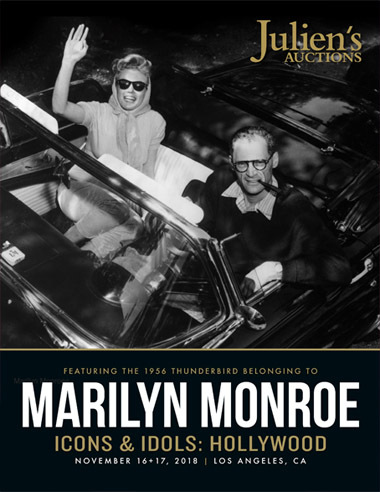 Soon after buying the Thunderbird, Monroe married the celebrated playwright Arthur Miller. A published report at the time suggests that Monroe and Miller drove this vehicle to their civil wedding ceremony on June 28, 1956 and likely their private wedding on June 30, 1956. It was a powerful car for its time, with a 225 horsepower V-8 engine and a top speed of 113 MPH. The car features a complete dual, through the bumper exhaust system, giving a deep throaty roar at speed--adding to its “va-va voom” personality.